Hall of Fame centerfielder Mickey Mantle has signed this Official American League Bobby Brown baseball. 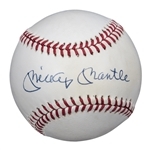 An 18-year pro, mantle won three American League MVP awards as well as the 1956 Triple Crown. The Yankees superstar won seven World Series while making 20 All-Star Games, proving to be a worthy successor to Joe DiMaggio in the Yankee Stadium outfield. 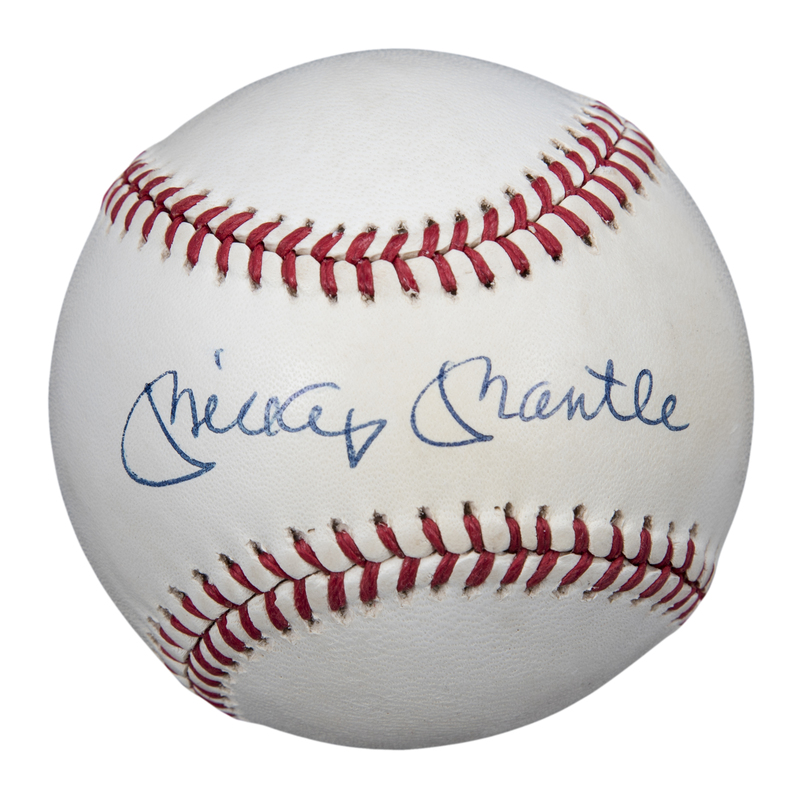 Mantle has signed the sweet spot of this ball in blue pen. 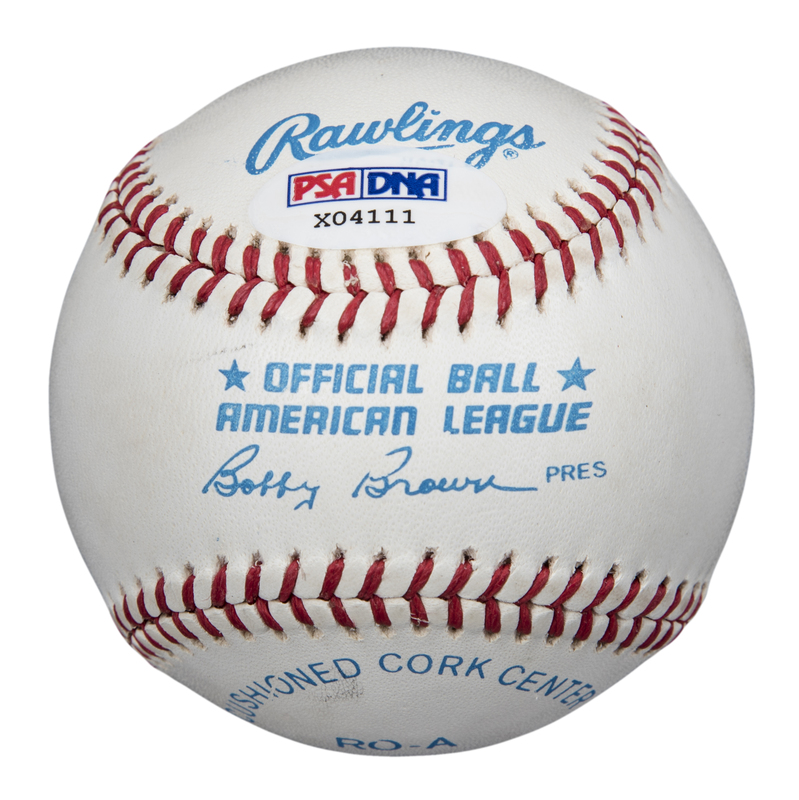 This baseball comes with a PSA/DNA STICKER ONLY (X04111).